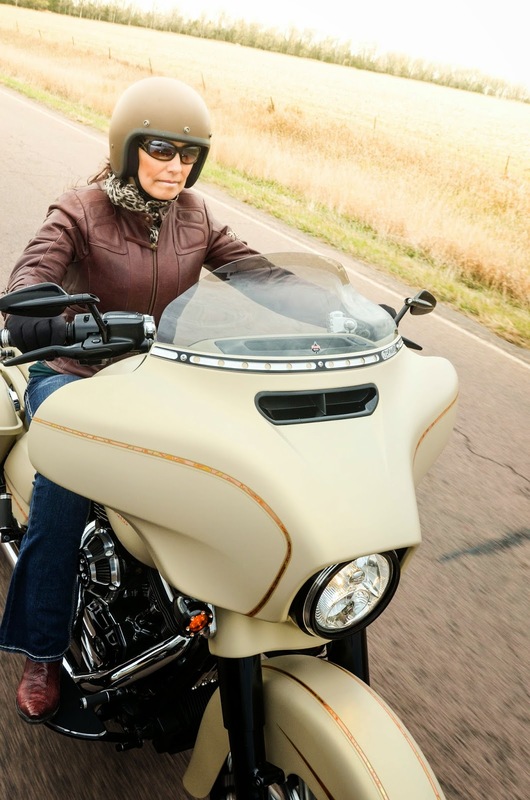 World's Fastest Bagger; How the Flare™ Windshield was Born. (Mitchell, SD) – With the recent introduction of many more model fitment options to Klock Werks most popular product line, the patented Flare™ Windshield, inquiries have surfaced wanting to know what the inspiration was behind the development of a motorcycle windshield that not only looks great, but actually serves a performance enhancement purpose. To answer that question we must get back to the year 2006, when Klock Werks was taking part in a Discovery Channel TV show called “Biker Build Off”. Brian Klock decided to be the first contestant ever to build a “bagger” motorcycle for the television competition. 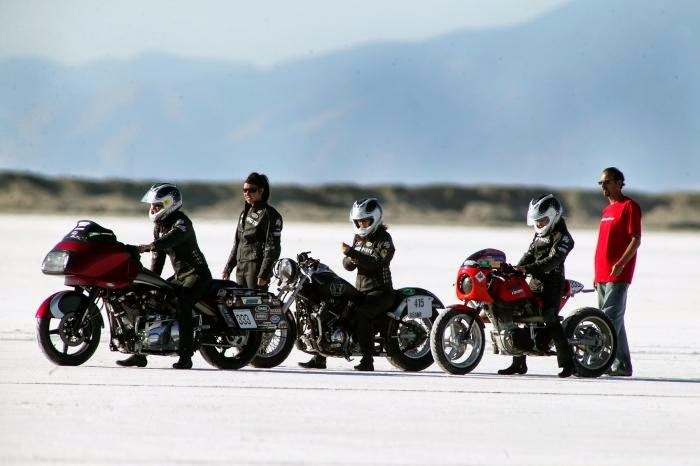 The bagger (touring model motorcycle) sported a high performance S&S 124" motor, so it was natural that team Klock Werks decided to race the bike on the Bonneville Salt Flats immediately after winning the build off competition that year. 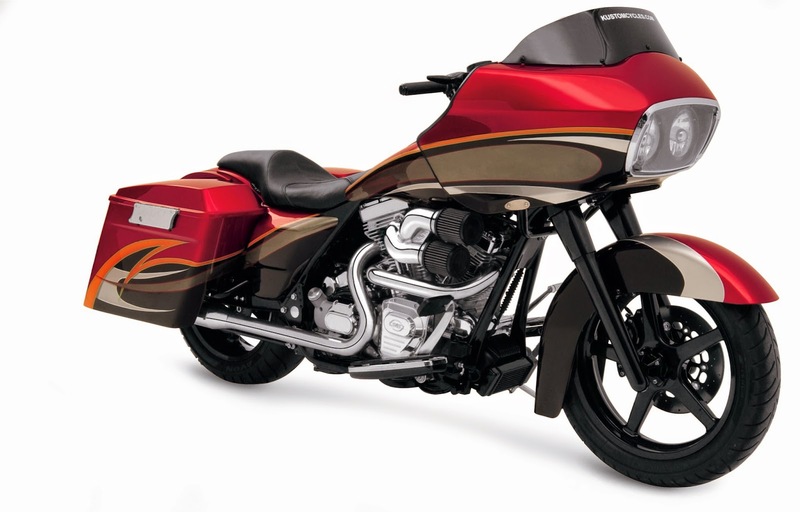 “Our bike became known as the original "World's Fastest Bagger" after pilot Laura Klock set records in 2006. It was from this excursion that Laura reported a front end “lift” she was feeling at those high speeds with the stock windshield. Klock Werks went to work and focused on air; it’s movement, and impact on motorcycles and the way they handle. We did extensive planning, testing and received the opportunity to take the design in the A2 Wind Tunnel in Mooresville, NC. Before long the Flare™ Windshield was born and ready to bring to market.” Stated Brian Klock, president of Klock Werks. as clean, less turbulent air for the rider and passenger, decreasing wind noise, and providing a more comfortable ride. Laura went back to Bonneville and continued to set records in 2007 and 2008, ultimately reaching speeds of 161mph on the Bagger. Klock Werks went on to manufacture and produce the patented Flare™ Windshield, which remains the leading windshield in the industry today. Klock Werks Flare Windshields are proudly made in the USA and fit a wide range of motorcycles including Harley-Davidson, Honda, Victory, Kawasaki, Yamaha, and Indian. Klock Werks welcomes any questions and encourages riders to understand the difference in order to make an informed buying decision. Learn more at www.kustombaggers.com or visit your local Drag Specialties dealer.